Hunuman Vrat is observed on Margashira Krishna Trayodashi, In 2012 it falls on December 25. Hanuman Vrat is a very popular fast, and is dedicated to Hanuman, who rendered his great services to Lord Rama. On this day strict fast is kept, and Hanumanji is worshipped with sweets and fruits. 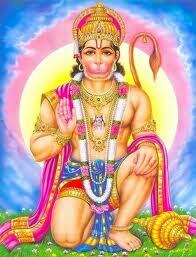 The story of Hanuman Vrat should be heard and Hanuman Chalisa is recited.